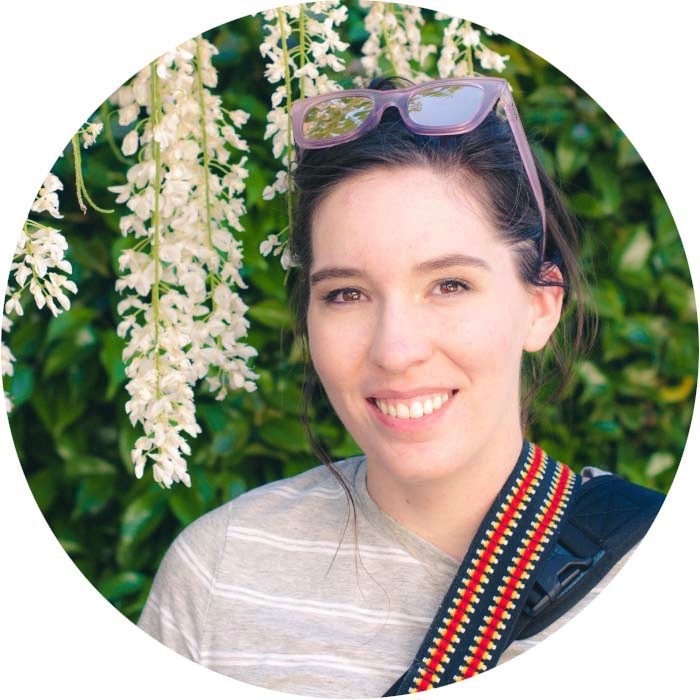 *edit* – Thanks so much for all the interest in this post! I answered some of the great questions from the comments in my next post here: http://katejhollingsworth.com/2011/02/freshly-pressed/ Thanks! 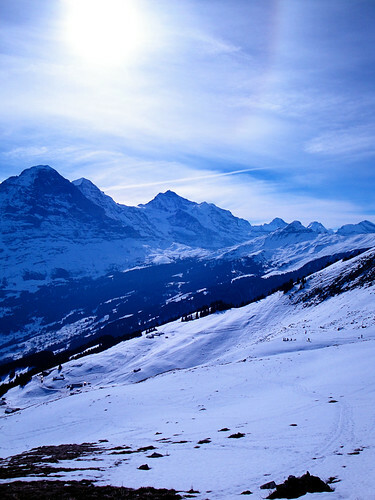 My study abroad program organized an optional day trip – skiing/sledding on the Alps in Switzerland! 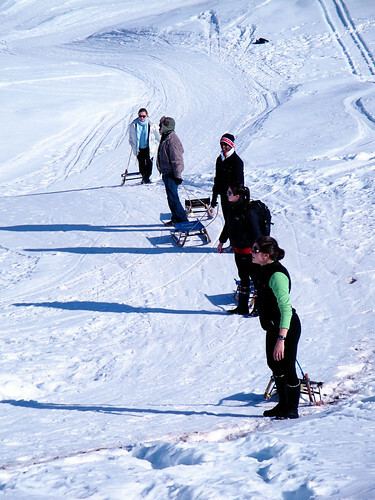 I went hiking and sledding with about 20 other people, while around 10 others (who already had some experience!) opted to ski or snowboard. There was something amazing to do there for everyone! 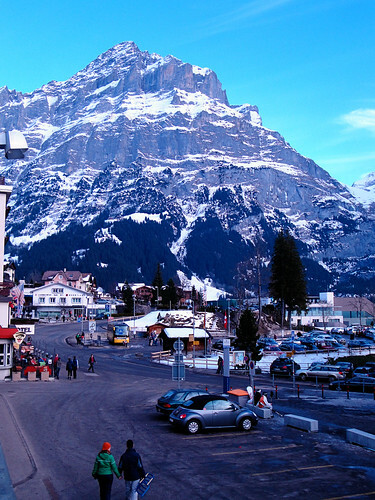 It was an early morning and a 3 hour bus ride to Grindelwald, a town in the midst of the Alps…. Once we arrived, those of us who were sledding took another 30 min bus ride up one of the mountains. From there, we continued up with a hike for about an hour! It was a good workout, and we got pretty hot despite the snow and altitude! 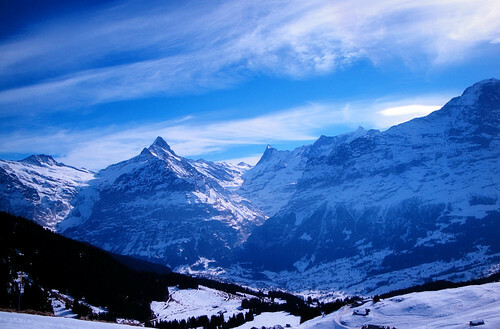 Both hiking up and sledding back down were filled with the most amazing views…. It was unreal! And after sledding back down the hiking route, we got to keep sledding for most of the rest of the way down the mountain…. a 5 mile course! 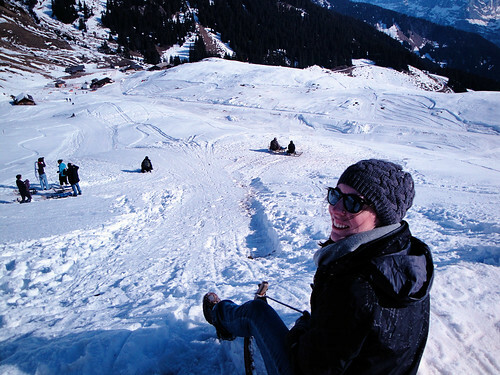 This place is home to the longest sledding route in Europe, and it was the most snow I’d ever seen in my life! And! 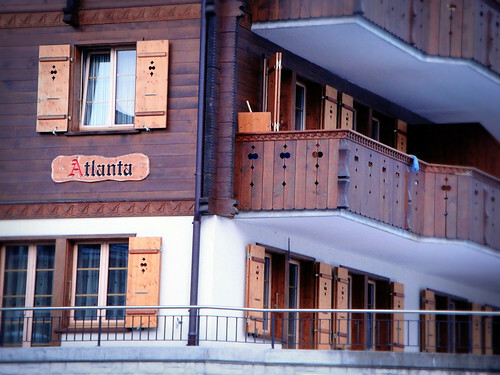 I found a little bit of Atlanta in Switzerland….